Redesdale Primary School » Behaviour reward. Hot chocolate with our Head teacher. Well done Katie, Maisie, Lincoln and Chloe from Year 3. Behaviour reward. 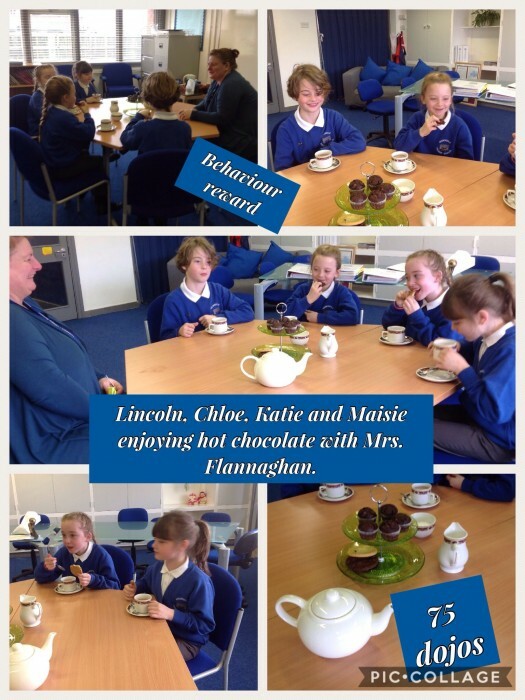 Hot chocolate with our Head teacher. Well done Katie, Maisie, Lincoln and Chloe from Year 3.